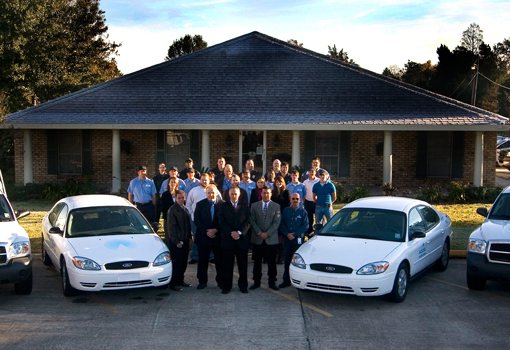 Accel Protection and Technologies is a family of companies proudly securing assets for the past 20 years. Starting in January 2002, Mr. Thomas Huval acquired the Security Guard Division of Argus Security, LLC. In 2003, Mr. Huval further expanded his operations by acquiring the Commercial Division of Argus (an accumulation of numerous security and life-safety companies dating back for more than 20 years) and All Points Security, LLC, a well-established commercial-based alarm company. All companies were consolidated under a single brand identified today as Accel Protection and Technologies, LLC. Since then, Accel has expanded its services to a Financial Services Division geared toward servicing the banking industry with custom-designed security services and an Emergency Power Generation Division offering solutions to clients with critical infrastructure needs. In May of this year, Accel completed the full circle of protection by extending services to the residential arena, creating the Accel Home division.